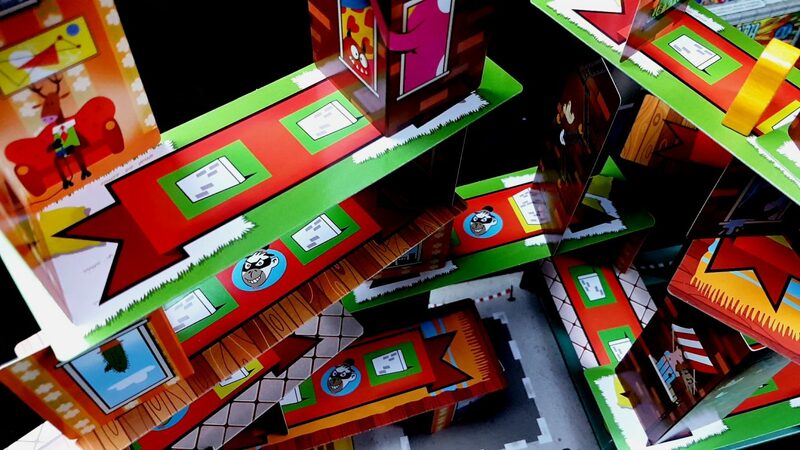 A review copy of Rhino Hero: Super Battle was provided by HABA in exchange for a fair and honest review. Okay, this isn’t going to be the most exhaustive look at a game we’ve ever taken – a lot of what we’d do here has already been discussed and defined within our teardown of Rhino Hero. 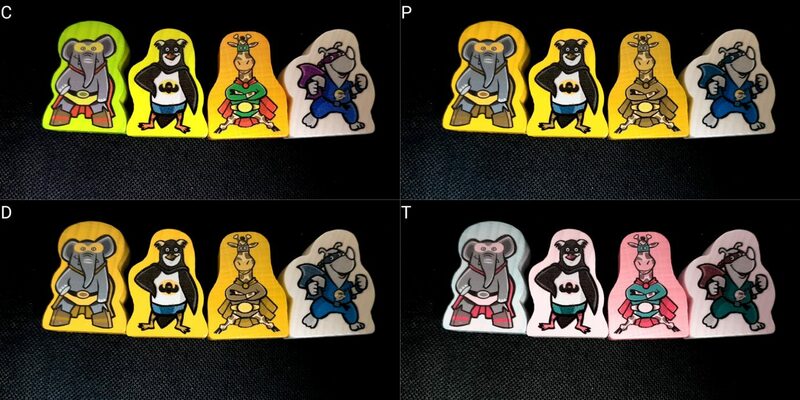 Rhino Hero: Super Battle is a slightly better game in our view – worth four of our gold foil covered stars. It’s not though hugely different in its accessibility profile. We’re going to take a similar tack here =to what we did with Codenames Pictures. Large chunks of this teardown will be identical to the original but the specifics of this particular evolution of the Rhino Hero Pokemon means that there are some nuances and complexities we’ll need to discuss in more detail. Make sure you’ve read the Rhino Hero teardown because I will be referencing it liberally throughout rather than duplicating content. With no further ado, let’s just wrap this teardown up so we can all call it a day and get home early for once! 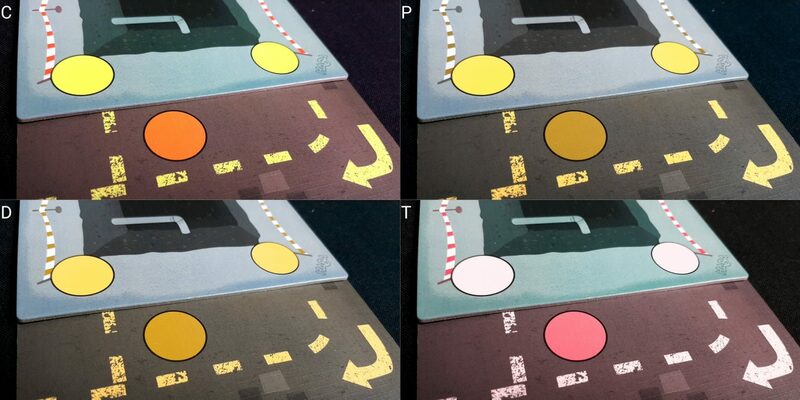 There are no serious issues with colour blindness, or at least no issues that can’t be very easily resolved through context clues and spatial awareness. 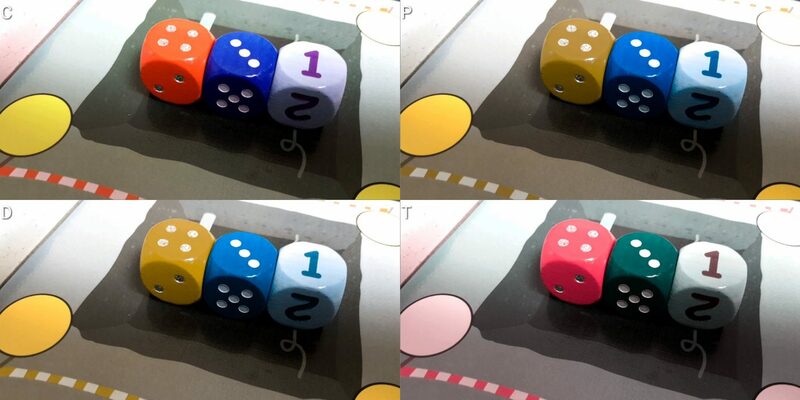 For example, the dice you use are differentiated by colour (and in one case by style of number) but while the colour choices are fine for most categories of colour blindness there will be edge cases where that’s not true. But – you’ll know which die was yours when you roll it, so it’s not actually a problem. But these are used to indicate the ‘easy’ versus ‘hard’ sides of the board and as such they convey no ongoing gameplay information. You can tell them apart by how many build points are displayed – the side with the fewest build points is the difficult one. Super heroes share colour palettes, which might be a problem when you’re trying to work out which is yours in a frantic melee, but they also have completely unique art and distinctive form factors. All in all, we strongly recommend Rhino Hero: Super Battle in this category even though there are some colour palette issues. In actual playing of the game, they’re unlikely to present themselves as much of a barrier to enjoyment. Refer to the Rhino Hero accessibility teardown for a full discussion of this. 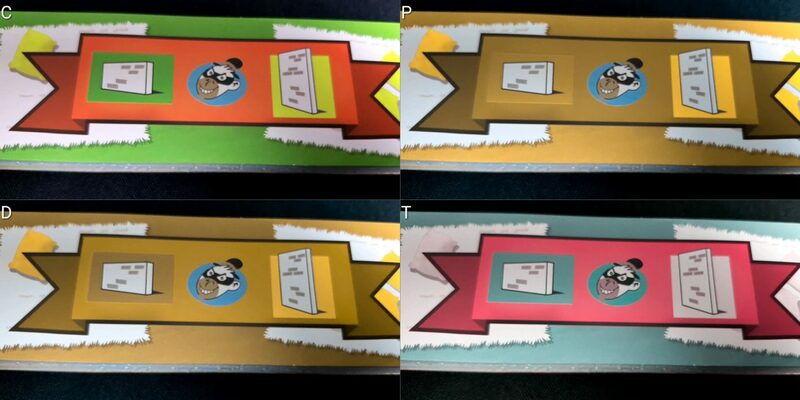 The extent to which the game sprawls is going to have a negative impact on the visual parsing of game state, but it makes up for that to a certain extent by the cards being easier to read because of their distinctive (and indeed, garish) iconographic design. Identifying placement issues is going to be more complicated because of the size of the building, and the corresponding impact on play is significant. However, the structure tends to be more stable to begin with and at least early on you can build freely without worrying too much about the compounding impact of structural weakness. Overall the accessibility in this category is slightly worse than Rhino Hero, but since we already didn’t recommend that for those with visual impairments it doesn’t really change the state of affairs much. Refer to the Rhino Hero accessibility teardown for a full discussion of this. As with the original game, I have no hesitation in recommending this to anyone with cognitive impairments that do not dovetail with physical impairments. However, I will say that the additional dice rules add a little more complexity to play. Honestly you can ignore them in favour of something much simpler such as ‘go up a level, knocking every other hero down’ or simply avoid them entirely. The game in the end is not about the heroes, it’s about the building. We’ll still strongly recommend Rhino Hero Super Battle in both of our categories of cognitive accessibility. Refer to the Rhino Hero accessibility teardown for a full discussion of this. The accessibility discussion is meaningfully identical except if anything it’s an even stronger recommendation because of how the pacing of the game is more flexible and how the arc of the experience is more nuanced. It’s a strong recommendation here. Refer to the Rhino Hero accessibility teardown for a full discussion of this.. It was an F grade for the original Rhino Hero and it’s an F grade here. If we did an F- we’d be inclined towards that given how the structure is much larger and as a result orbiting the building is a more physically demanding task. I suspect games like this are never going to really manage to get much love in these sections but I remain hopeful that one will come along and surprise me. Refer to the Rhino Hero accessibility teardown for a full discussion of this.. The accessibility issues are identical and as such we strongly recommend it in this category. Refer to the Rhino Hero accessibility teardown for a full discussion of this. The accessibility issues are identical and as such we strongly recommend it in this category. It’s a bit more pricey at £20 but there’s correspondingly a lot more game in the box. Refer to the Rhino Hero accessibility teardown for a full discussion of this. Blimey, that was quick to write. I kind of feel like I phoned this one in but really the Rhino Hero teardown itself tells a very similar story to the one we’d write if Rhino Hero Super Battle was a brand new proposition. It’s not going to be good for those with visual or physical impairments but it’s really hard to fault otherwise. Trust me on that – I like to fault things. There isn’t much that I can say more here other than ‘If Rhino Hero was okay for you, this will be too’. It’s not an identical accessibility profile but it’s close enough that it’s been the easiest one to put together in the two years I’ve been writing this blog. Thanks for that, HABA! If everyone else could make games that were equally easy to analyse it would really take a load off my shoulders. I suspect that wasn’t the over-riding intention but I appreciate it regardless. Rhino Hero: Super Battle is so much fun for so little effort that it’s genuinely unfair to all the other games out there. If you think you could play it, our four-star review suggests you wouldn’t go far wrong picking it up. And then knocking it all down. And then starting all over again with a massive grin on your face.